The body is efficient. When a body part is not needed, based on exertion, the body only minimally maintains that part. For example, if muscles are not exercised, they atrophy (shrink); if lungs are not exerted, they have reduced capacity; if the brain is not challenged, it declines; and if skin is not stimulated, collagen production slows. The epidermis, the outermost layer of skin, is comprised mostly of a fibrous keratin protein that protects the body, the internal organs, and is the first line of defense against infection. All cells in the epidermis originate from its base. As new cells form, they push previously produced cells upward. As cells move toward the skin surface, they become flattened and die. Dead skin cells are shed, a process that slows with lack of stimulation. It typically takes new epidermis skin cells three to five weeks to move to the surface. The health of the epidermis is dependent on nutrients received from the layer below, the dermis. The primary function of the dermis is to nourish and support the epidermis. If the dermis is not stimulated, it’s blood vessels and general condition decline. The dermis is made up of three types of tissue; collagen which is the glue that connects body tissue, elastic tissue which gives skin its flexibility, and recticular fibers which support connective tissue. Advanced skin care techniques increase collagen and elastin by creating micro-injuries in the dermis. 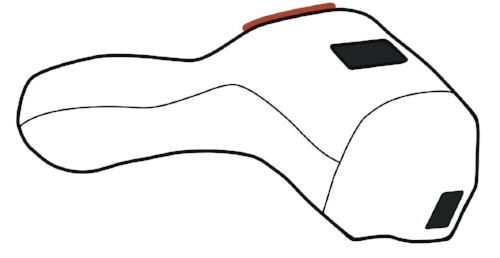 A micro-injury initiates a BHC to repair the wound. Healing micro injuries involves three phases. The inflammation phase begins immediately as growth factors accumulate at the wound site. The proliferative phase involves a rapid increase in tissue formation that begins five days after inflammation and lasts about eight weeks. The tissue remodeling phase consists of biochemical processes that last from eight weeks to one year. Type III collagen is produced for about five to seven days and is subsequently converted to the stronger Type I collagen over a period of several months. There are a variety of ways to stimulate the dermis and reap the benefits of the skin’s reparative nature. The following discussion describes a few of the many devices available that may be used at home. Do not use advanced skin care treatments if there is a medical skin condition, the skin is irritated and/or inflamed, or there are open blisters, acne or sores. Address these issues first and ensure that your skin is in good health before using advanced skin care treatments described in this article. Radiofrequency is used to tighten and lift sagging skin. It delivers electrical pulses and heat energy into the middle and lower levels of the skin and physically changes the skin’s molecular structure. Following radiofrequency treatments, the wound healing process results in the growth of new collagen and skin tissue that slowly tightens over time. 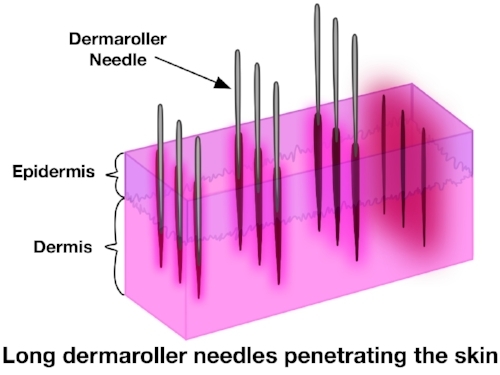 Percutaneous collagen induction (PCI), dermarolling, and micro-needling all refer to a technique recently developed by Dr. Desmond Fernandez consisting of a device that presses small needles into the skin. PCI does not cause and reduces existing hyperpigmentation and is safe to use on dark skin. PCI needle lengths from 0.5 to 1.5 mm penetrate the epidermis and dermis. The resulting channels close up a few hours after needling. With time, PCI skin rejuvenation noticeably improves the appearance of the skin as increased collagen and elastin production promote thicker skin. Do-It-Yourself home laser devices for skin rejuvenation are an emerging market. Lasers produce a beam of concentrated light with high energies. These energies promote the production of cell biology energy and growth factors that result in the generation of new tissue. If you easily develop hyperpigmentation, precautions should be taken before using a laser device. Pretreat the skin for four weeks by applying actives that suppress melanin production. After an advanced skin care treatment, skin may be red and swollen and may result in pinpoint bleeding depending on the intensity of the treatment. This typically clears within 24 to 72 hours, or longer depending on the skin’s health. Results of advanced skin rejuvenation treatments are not immediate. It takes several months to a year to observe the full effects of the treatments on collagen and elastin production and skin tightening. Advanced home skin care treatments may be used to increase collagen and elastin, thicken skin, and improve elasticity, however the results are dependent on general health and skin condition. The body’s healing system is dependent on a strong immune system. To optimize skin care treatment results consume whole, nutrient dense, unprocessed foods and drinks; reduce sugar intake; exercise daily; quiet the mind; reduce stress and sleep well. PCI – I have been a fan of PCI from about 2008. It was a secret of the internet at the time and the only way to use this technique was at home. Today, dermatologist offices and med-spa’s offer PCI treatments. I love short needle PCI for product penetration – only if using the purist products and the long needle PCI to stimulate the dermis, promote collagen production and reduce hyperpigmentation. DIY Laser – I tried this for about 6 weeks, but it resulted in hyperpigmentation and I discontinued use of the device. I did not pretreat with a melatonin suppressing serum like Niacinimide/Glucosamine, which had I done so, may have reduced or eliminated the resulting hyperpigmentation. I subsequently eliminated the hyperpigmentation using a short needle PCI and Environ Vitamin A & C serum. There are a variety of advanced skin care methods available. Consistent, repetitive use with a reputable device will typically improve the skin’s condition. Select a device that fits your income, lifestyle, and preferences so that you will feel comfortable and truly integrate the device into your skin care routine. Results take time so take photos, be patient and live a healthy lifestyle.